The World Meteorological Organization (WMO) has published its preliminary program for CIMO TECO-2018, taking place in Amsterdam, Netherlands, from October 8-11. 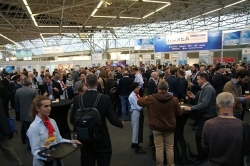 The conference will be hosted by the world’s biggest and most significant meteorological show – Meteorological Technology World Expo – running from October 9-11 at Amsterdam RAI. This year’s CIMO TECO speakers have been asked to address four key topics: the characterization and standardization of environmental measurements – traceability assurance; emerging measurement technologies: from development to operation; ensuring sustainability of measurements; and measurement and integration challenges in the next 20 years. The WMO had an outstanding response to its call for papers for the conference, with more than 220 high-quality abstracts submitted from all WMO regions. Key highlights from the program include a presentation on the Traceability and Calibration of Weather Radar Reflectivity Measurements by Means of a Target Simulator, by Dr Marc Schneebeli, Switzerland; the Remote Measurements of Volcanic Plume Electrification Using a Sparse Network Technique, by Dr Jeff L Lapierre, USA; and Experiences with Quality Evaluation of AMDAR Observations, by Dr Jitze van der Meulen, Netherlands. This year’s host, Meteorological Technology World Expo, is the must-attend event for any organization looking for next-generation weather forecasting and climate change measurement technologies and services. Now in its eighth year, this truly global exhibition is expected to attract more than 200 exhibitors and 4,000+ attendees from over 100 countries. 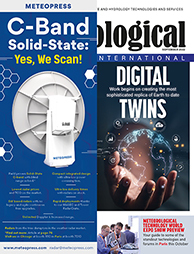 Among the latest exhibitors to join Meteorological Technology World Expo are Calypso Instruments, Spain; Comptus, USA; Firnas Shuman, Egypt; Naruida Technology, Hong Kong; Richard Paul Russell, UK; Seoul National University, South Korea; Starmans Electronics, Czech Republic; Swisens, Switzerland; and Theta Instruments, China. To learn more about CIMO TECO-2018, view the preliminary program and register to attend, click here.